Goodreads Book Giveaway for A Borrowed Hell! Interested in getting a copy of A Borrowed Hell but haven't gotten around to it yet? You might want to check out the giveaway on Goodreads - two people will win a signed trade paperback copy. ​The contest ends May 10th. 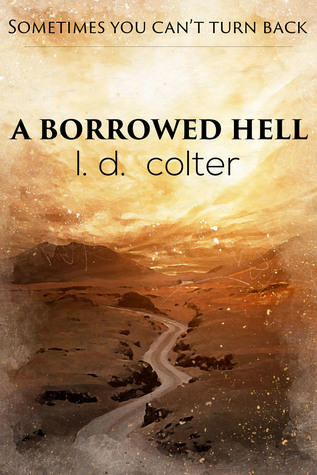 A Borrowed Hell by L. D. Colter: Lost in a nightmare alternative world, July Davish has two options: Confront his hellish past or be trapped forever. Tossed from real world to nightmare, July struggles for a way out, but the path to freedom may be worse than the world he wants to escape. Want in? Sign up at Goodreads through the link below. Giveaway ends May 10, 2017.